Born of a Russian mother - a pianist for the State Conservatory - and an expatriate professor father, a girl coming of age resolves a family dilemma while disclosing its mysterious past. After her father's odd disappearance during a business trip to Cairo, Anastasiya searches for those who can help her track him down. In her hunt she stumbles upon a long lost uncle whose life is an apparent enigma, full of intrigue as he passes himself off as a simple art restorer. And Uncle Yuri is determined to come to her aid. Suspenseful! 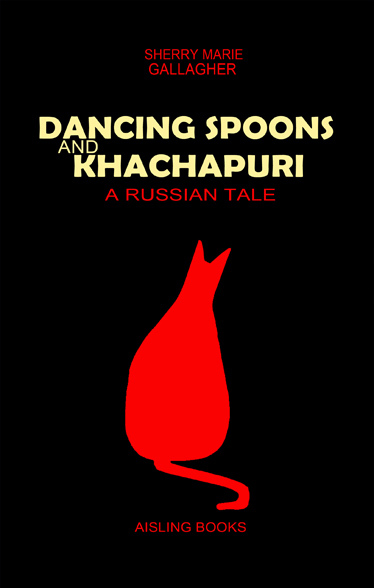 'Dancing Spoons and Khachapuri' is a fairy-tale like story and nice, relaxing read with beautiful language and folkway descriptions. The hardships of the Russian poor and the father's imprisonment are crafted so as to give the reader a glimpse into the state of things without being overdone. And the Russian-Afghanistan war is mentioned as a gross afterthought, but not too heavily so as to distract the reader from the main story whose strong characters give a taste of Eastern European society and culture - its richness mixed with difficulties.